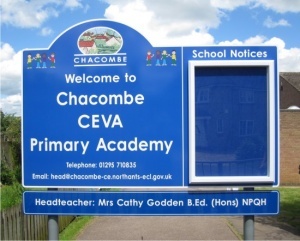 Based on a strong, durable 3mm aluminium composite backing panel our Single Superior school notice boards feature a white powder coated A2 size notice case fitted to the face to create a bespoke external school notice board solution. With an aluminium case, door and welded backing panel the A2 notice case is hinged to the top and features a high impact 3mm polycarbonate glazing and "Allen" key style security pin locks. 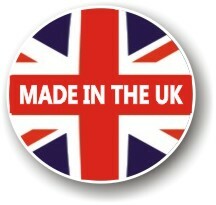 Manufactured here in the UK it has a stylish 38mm aluminium face profile and a case depth of only 50mm. Being weatherproof with a rubber gasket seal it is suitable for long term external use. The notice cases have fully welded corners with no open mitres and an anti-tamper full length hinge. The Single Superior range is available in 2 popular sizes. There is our standard version or the extended version which allows an extra line of text to go below the notice case. You can choose from a range of Zintec Coloured insert options. The Single Superior range is available in a choice of 3 variants. 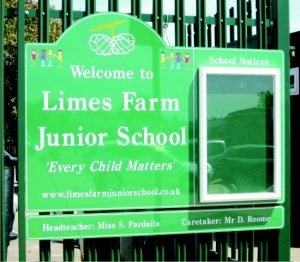 Wall Mounted, Railings Mounted or Post Mounted where it is supplied with its own aluminium posts. 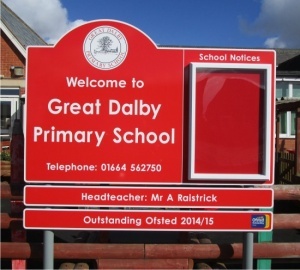 The Railings mounted version is ideal where you would like to fit the Midi Superior notice board to existing metal railings, fences, gates or posts. The Single Superior School Notice Board can give you a secure waterproof external wall mounted school notice board, a railings mounted school notice board or a post mounted school notice board. 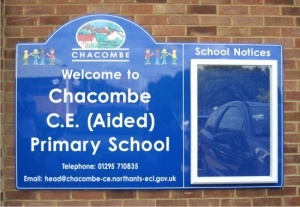 Comes complete with full colour printed 3mm aluminium composite backing sign panel. 3020 size lockable notice case, magnetic coloured or printed insert, radius corners and pre-drilled fixings holes as standard. Suitable for existing metal railings, fences, gates and posts. 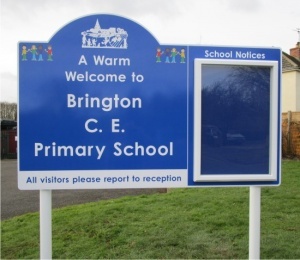 Comes complete with full colour printed 3mm aluminium composite backing sign panel. 3020 size lockable notice case, magnetic coloured or printed insert, radius corners, sign rail attached to the rear of the panel and suitable stainless steel fixings. 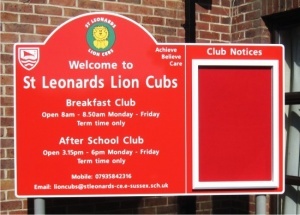 Comes complete with full colour printed 3mm aluminium composite backing sign panel. 3020 size lockable notice case, magnetic coloured or printed insert, radius corners, sign rail attached to the rear of the panel. 2 x 76mm diameter grey painted aluminium post 3,000mm in length, 2 x post end caps, 2 x anti-rotational sub-surface base plates and stainless steel post fixings.